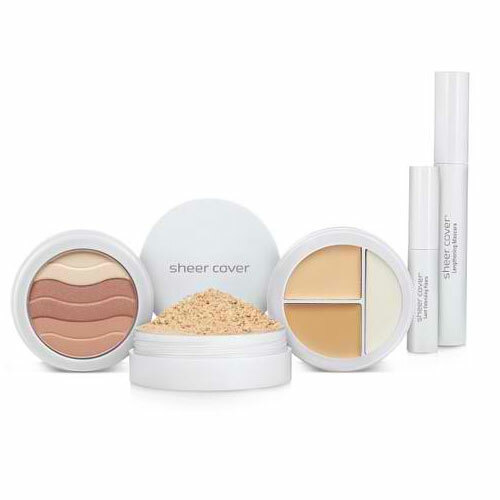 Let's face it - a lot of mineral makeup is worth more than it's worth! Some liquid foundations look heavy and cakey. 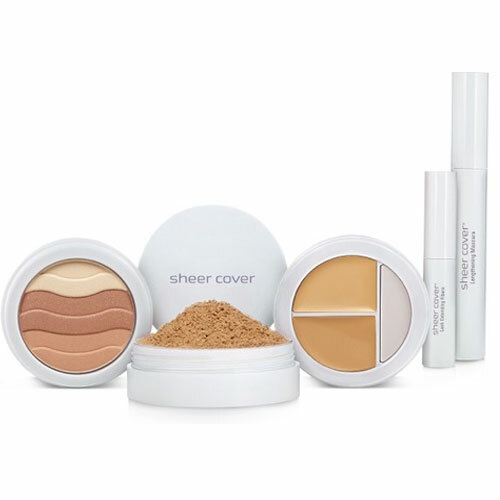 With Sheer Cover Studio, virtually any skin imperfections can seem to vanish, including redness, dark circles, age spots, hyperpigmentation, uneven skin tone and acne. Even more challenging concerns like rosacea, birth marks, spider veins and tattoos can seem to magically blend away. 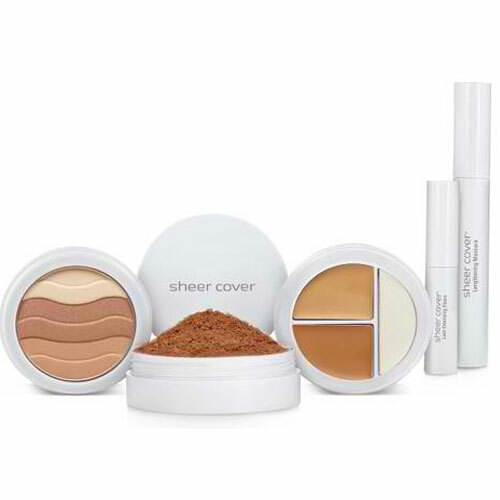 A duo concealer for quickly camouflaging flaws and a brightener for highlighting your eyes and other favourite features. 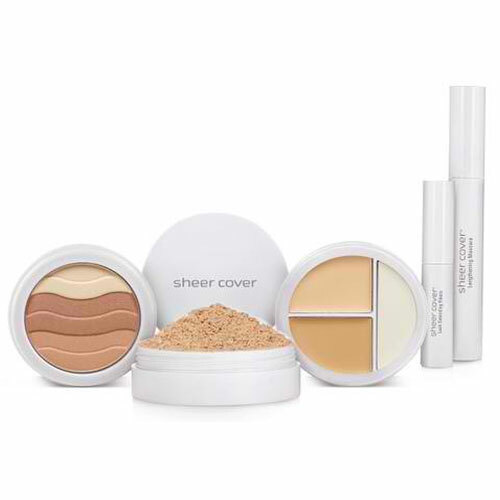 Light reflective natural minerals add a hint of shimmering colour and a natural looking glow to your cheeks, forehead, nose and neck.